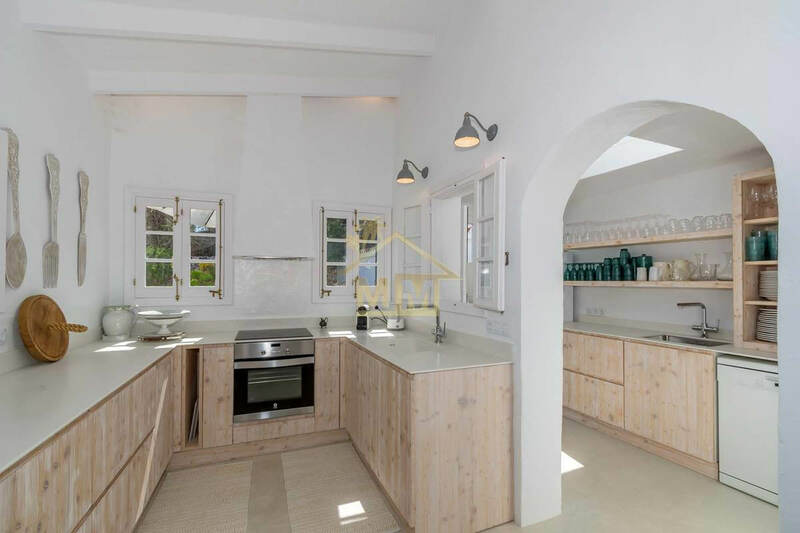 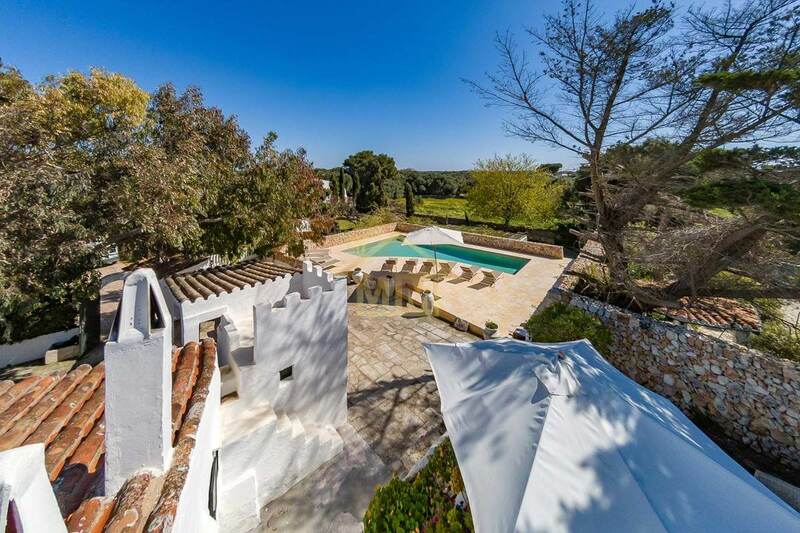 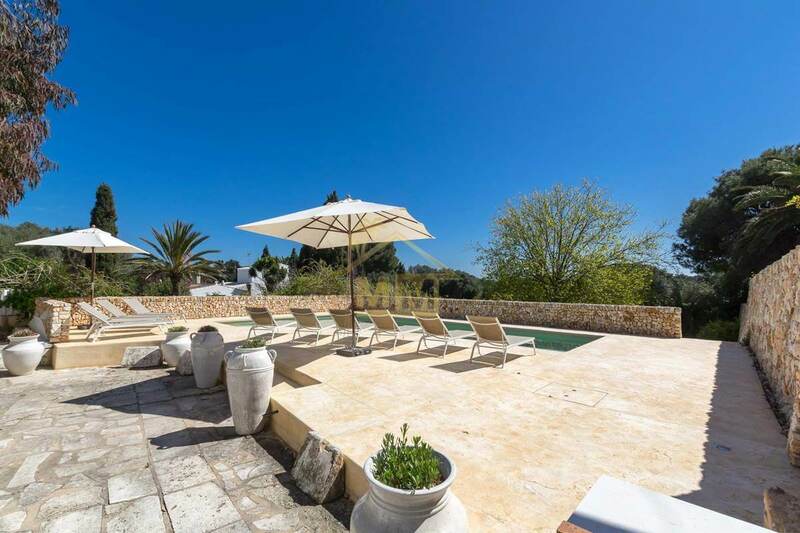 This beautiful Country house dated 1,900 has been completely renovated using the highest quality materials, maintaining original features and built on a generous plot with a spectacular swimming pool, terraces and impeccable gardens. 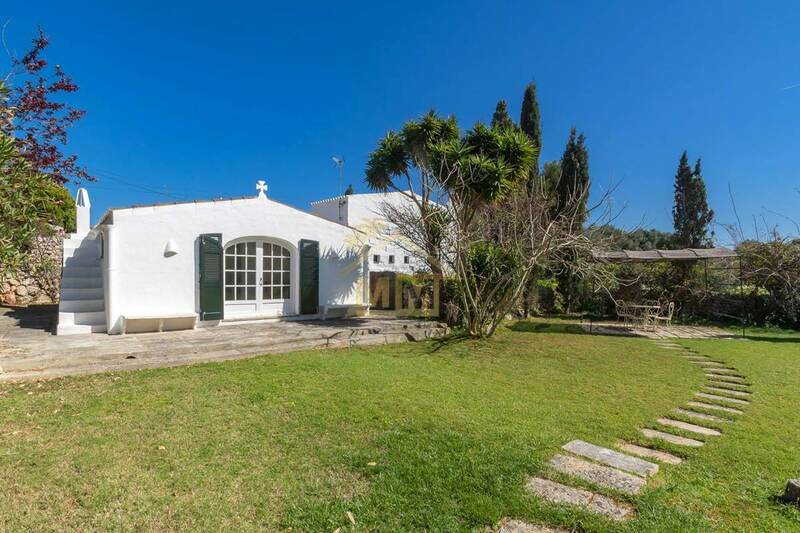 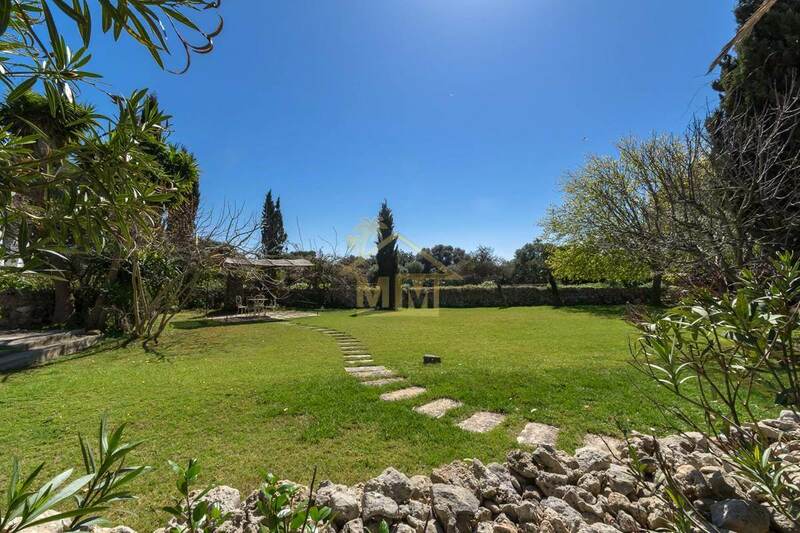 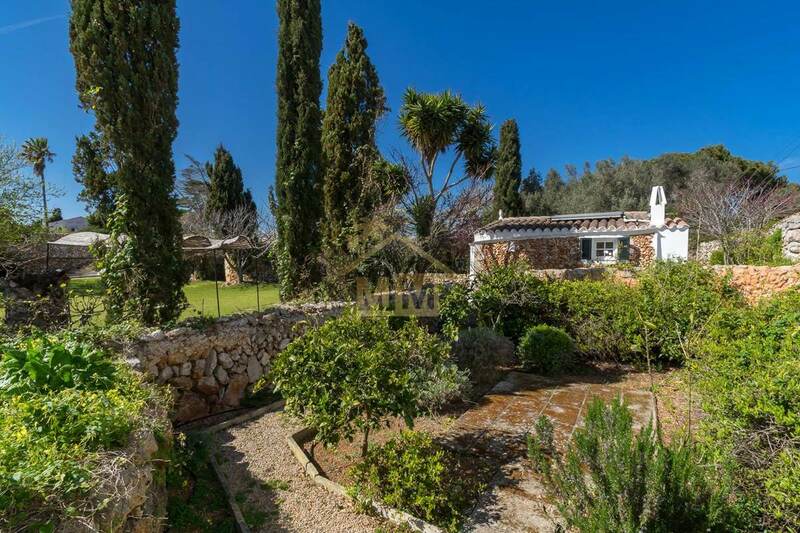 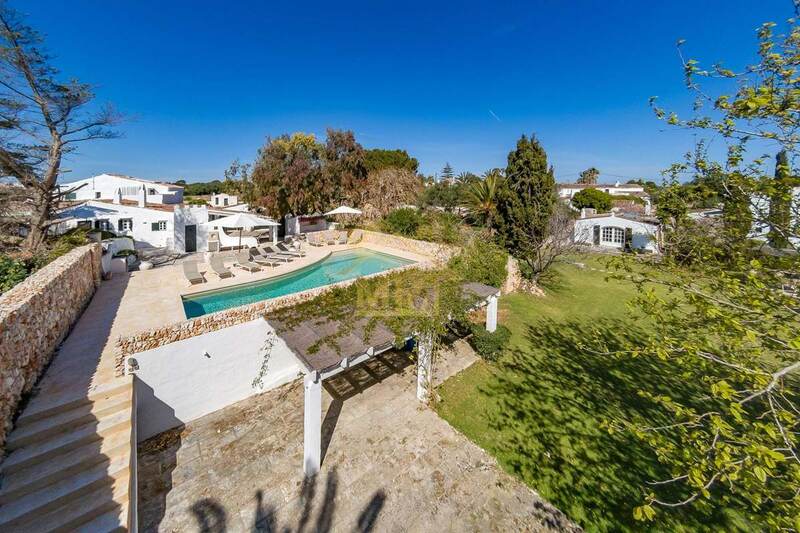 Nestled in the sought-after hamlet of Es Consell, it is ideally situated just a couple of minutes’ walk from the Town of San Luis and only a few minutes’ drive to many beaches on the South Coast. 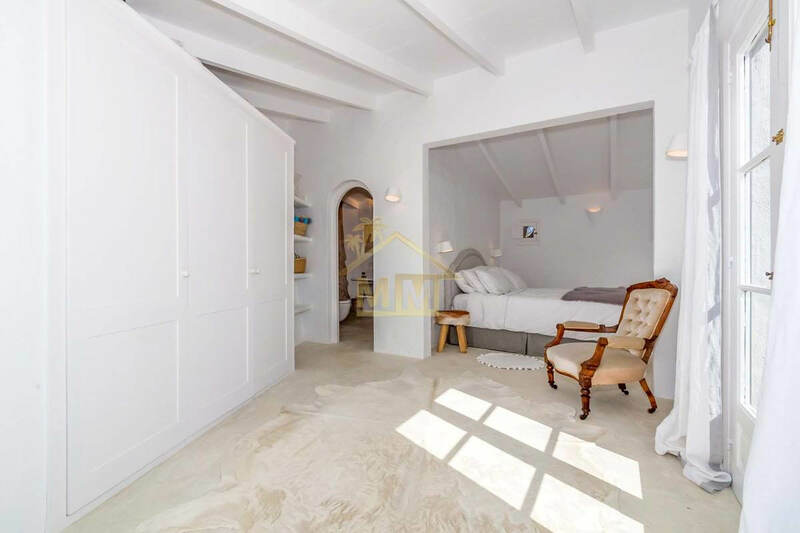 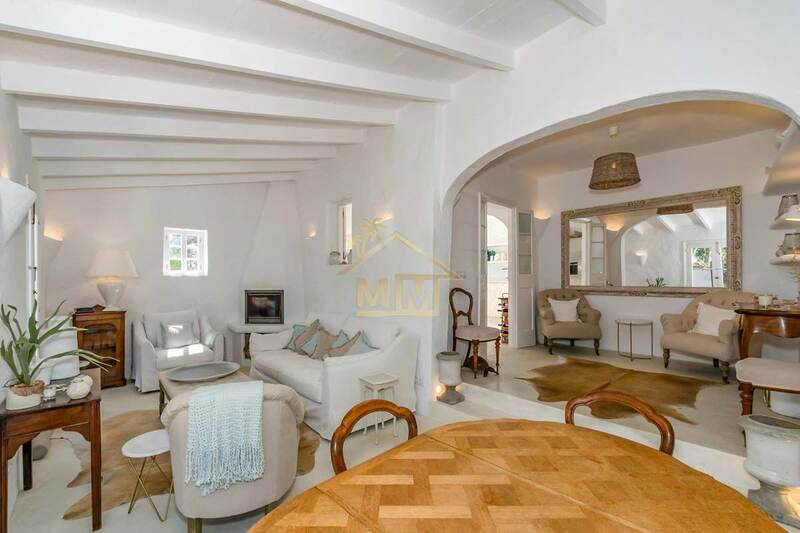 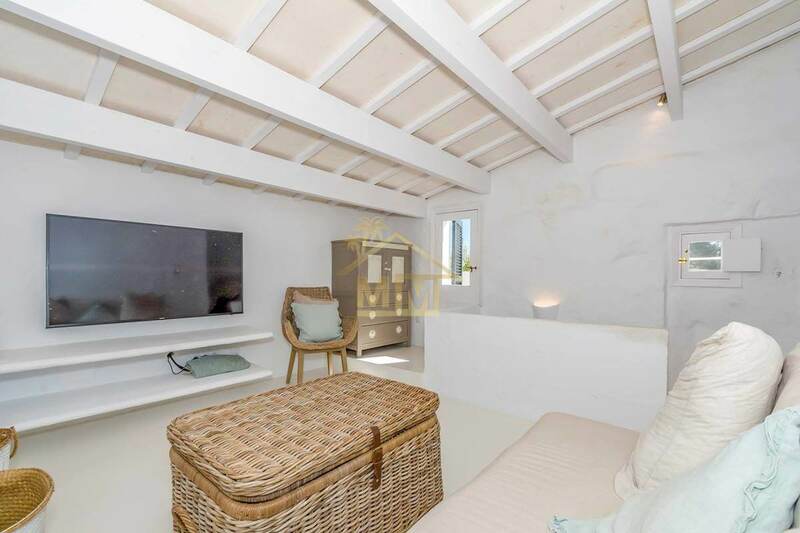 Inside we find an inviting living room with a wood burner and dining area, a separate kitchen, 2 bedrooms with their own en-suite on the ground floor and a third bedroom with a private terrace upstairs. 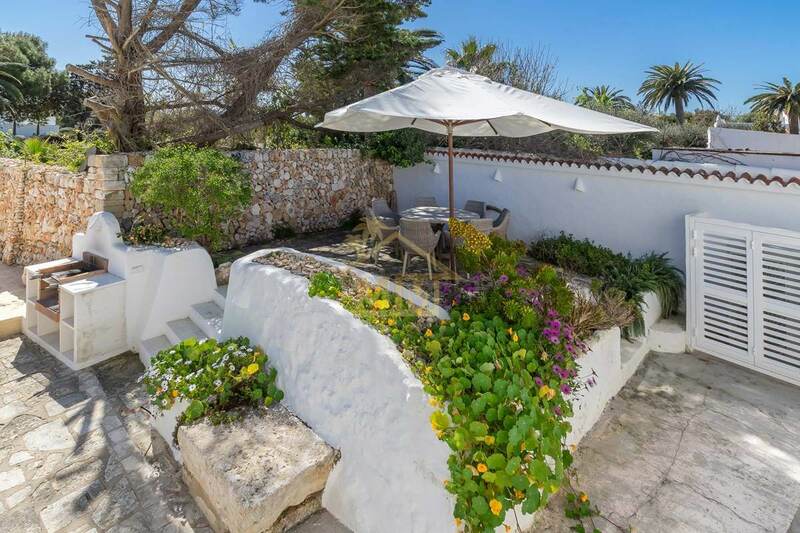 Outside there are different spaces to enjoy, a covered terrace with dining table, sunken bar area with built-in seating and fire pit, a large terrace surrounding the 67 m2 swimming pool, a huge lawn area, secret garden with fountain and a garden Casita (separate Annex) with a beautiful bedroom, bathroom and its own terrace. 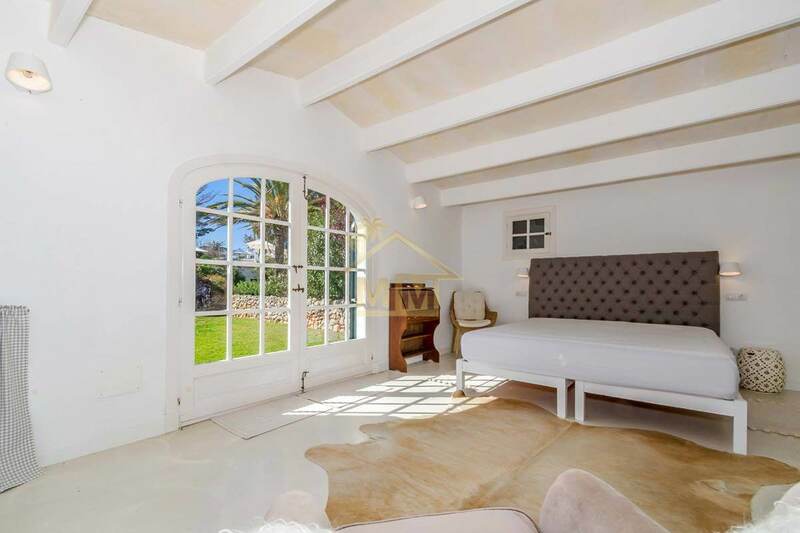 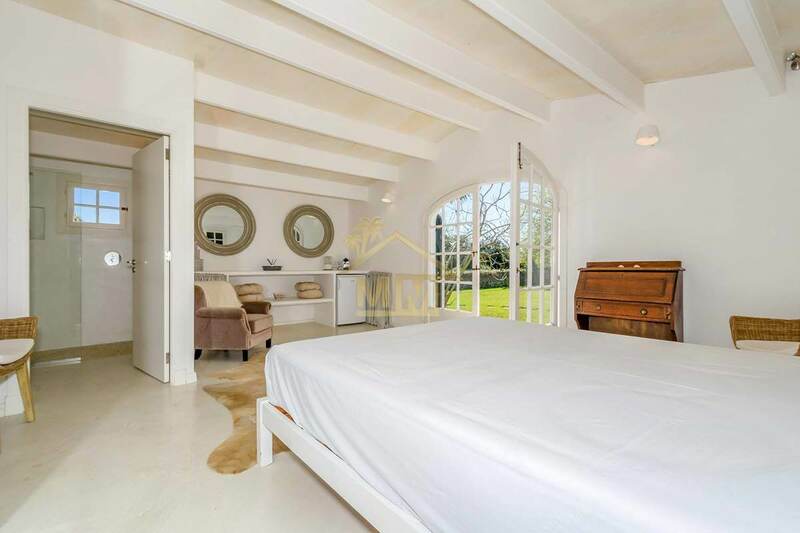 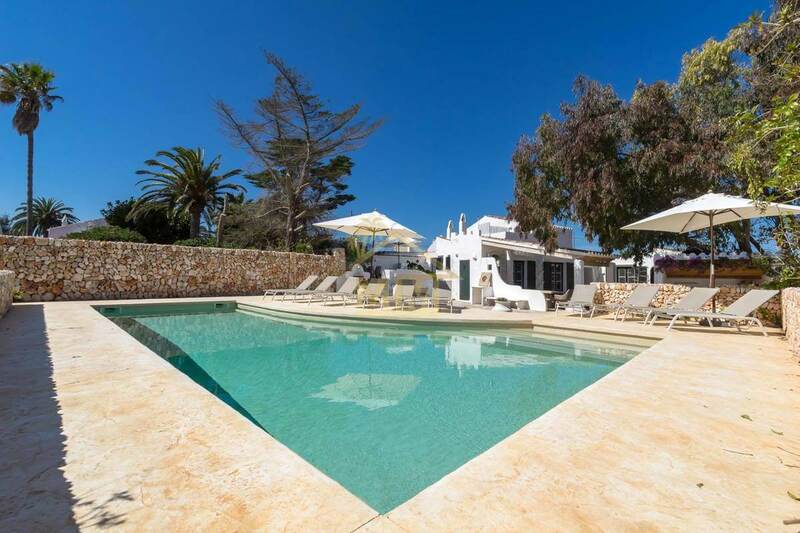 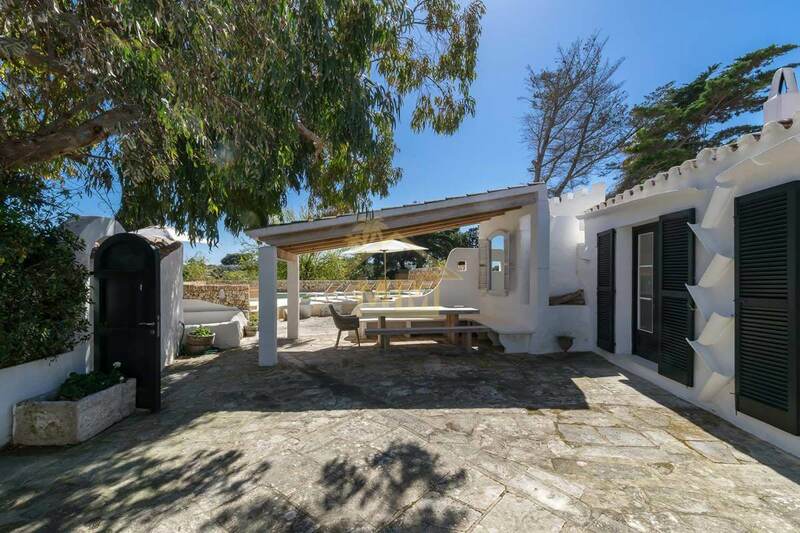 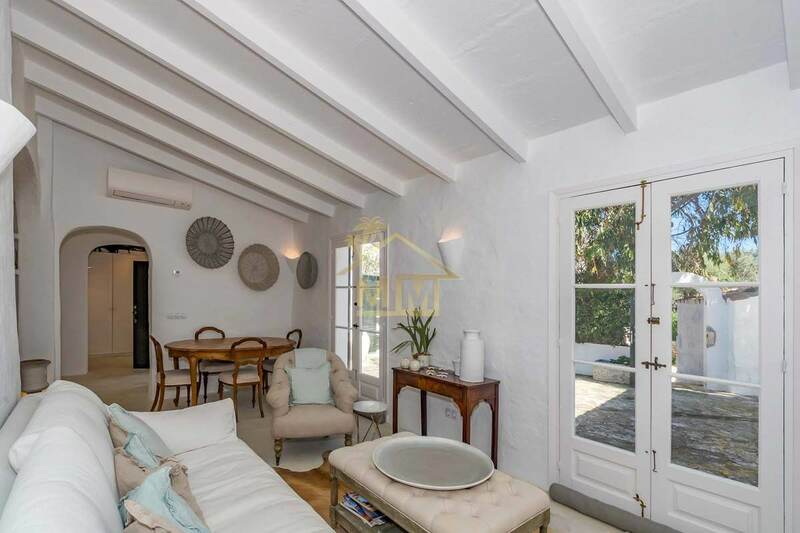 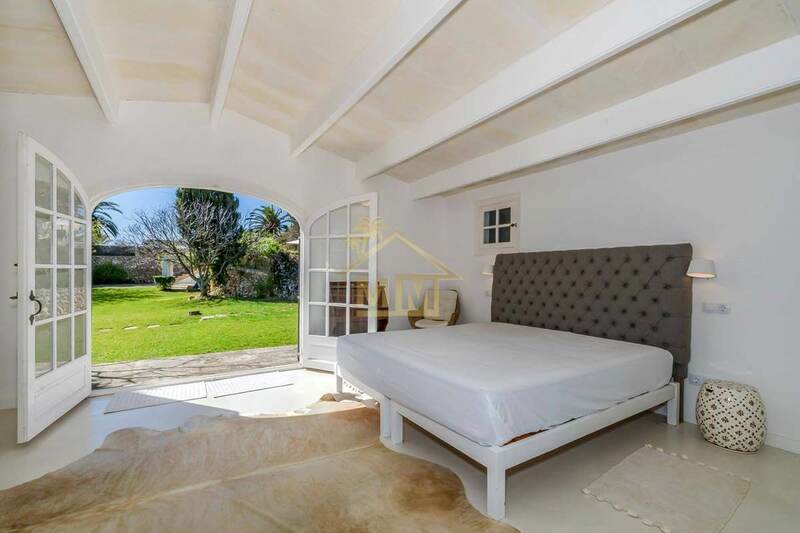 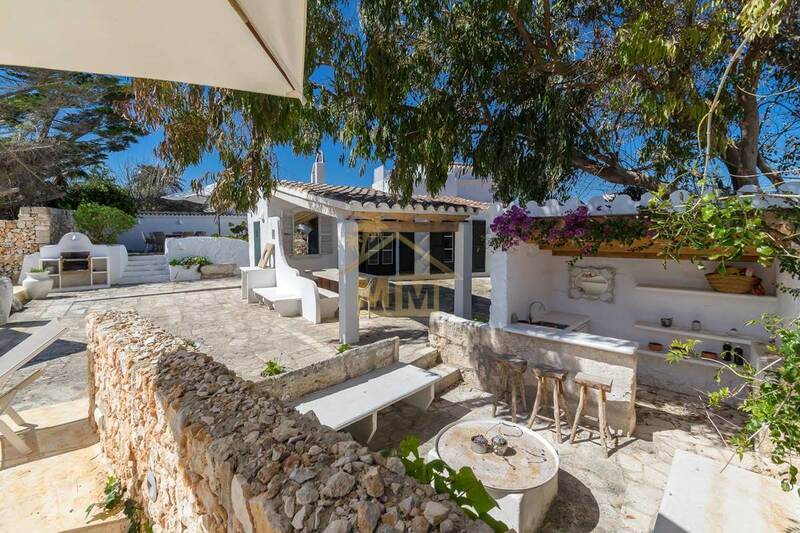 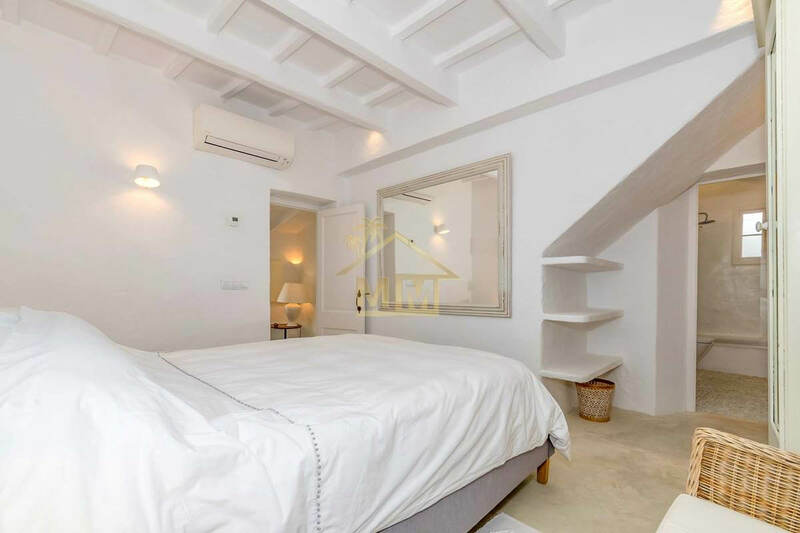 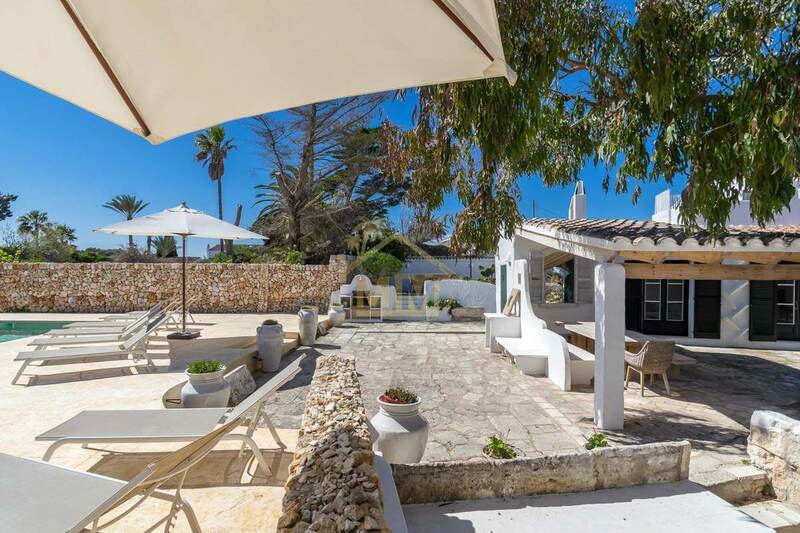 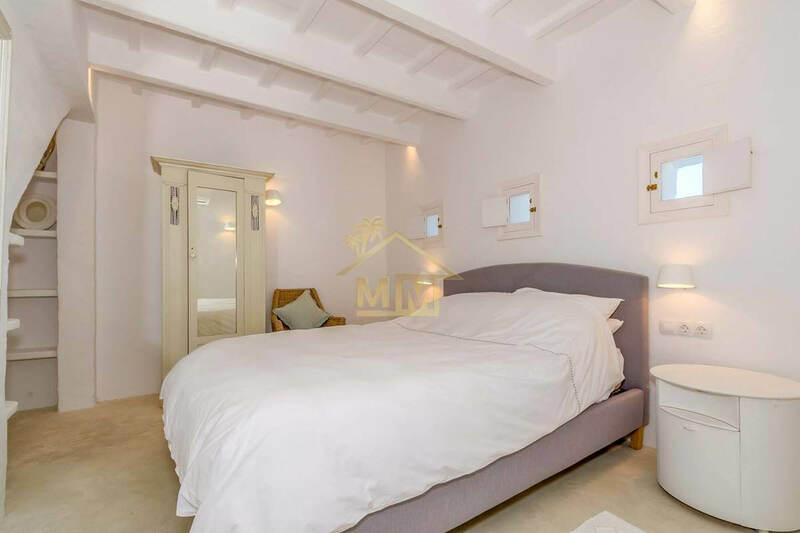 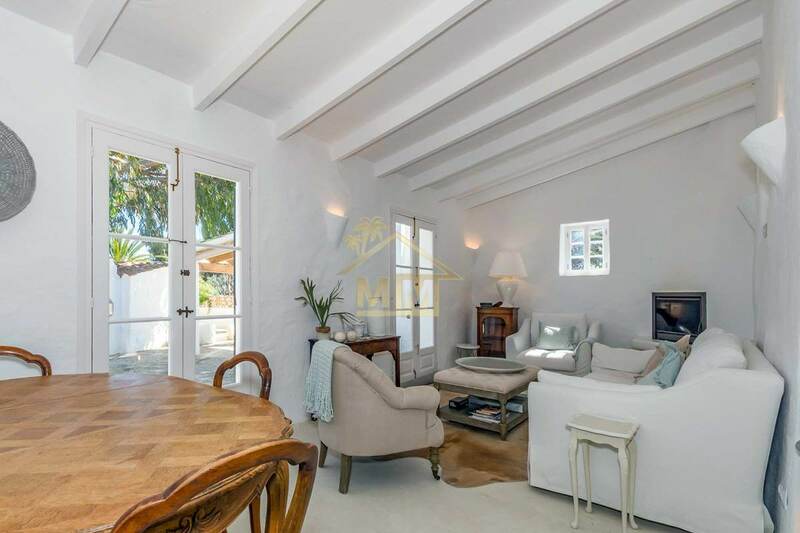 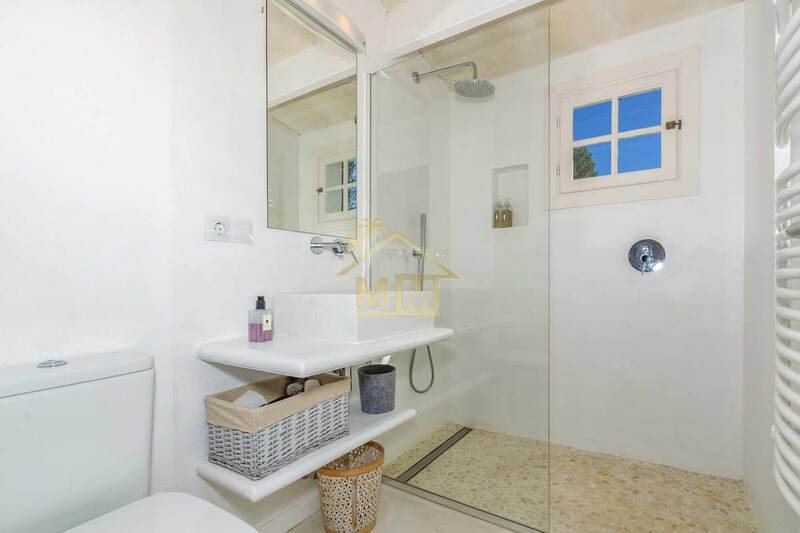 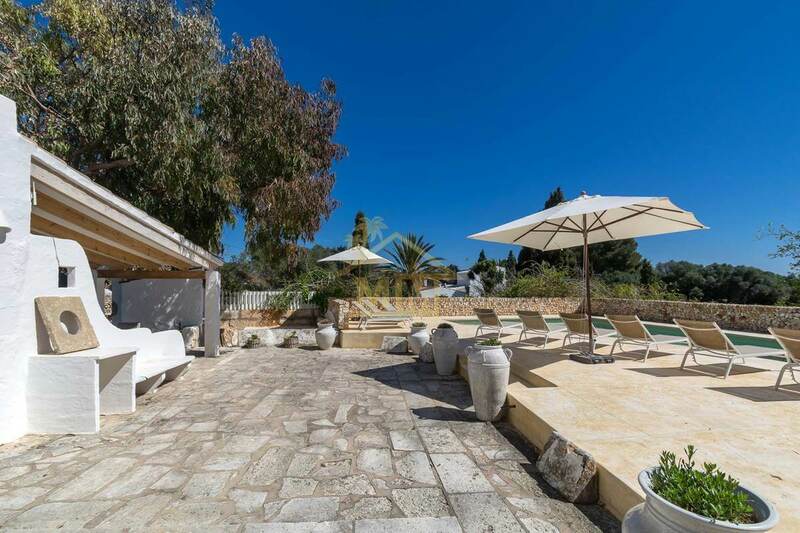 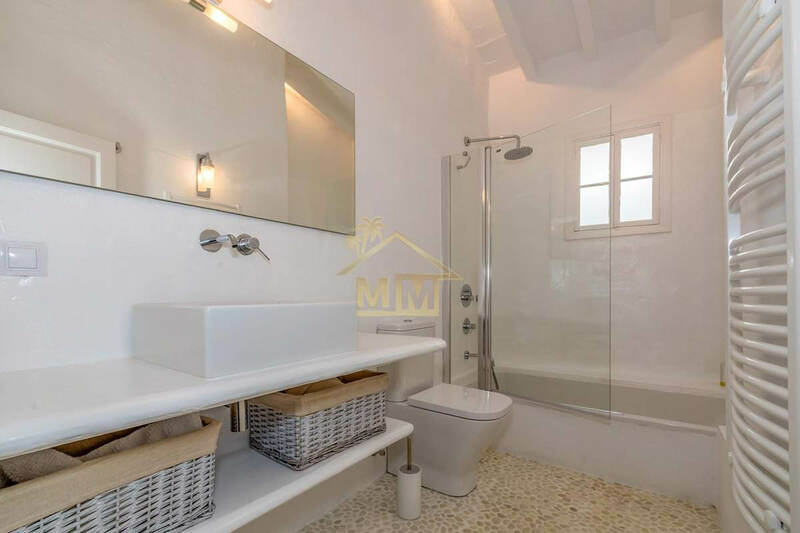 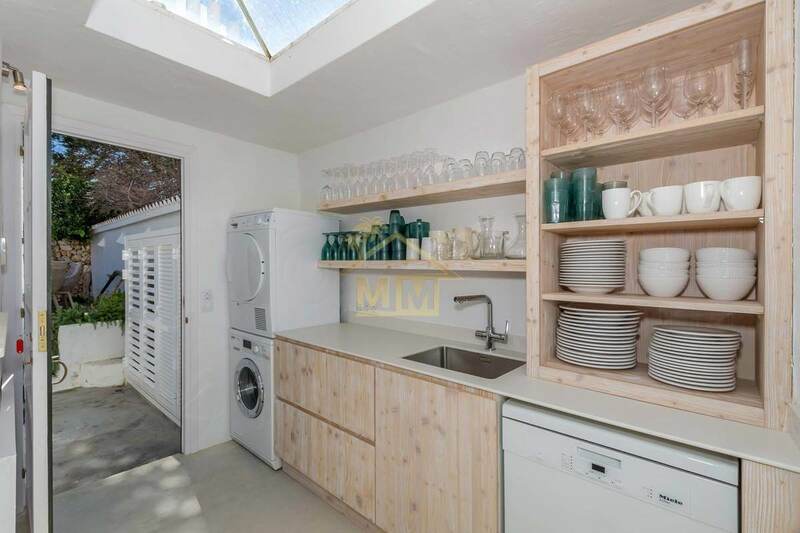 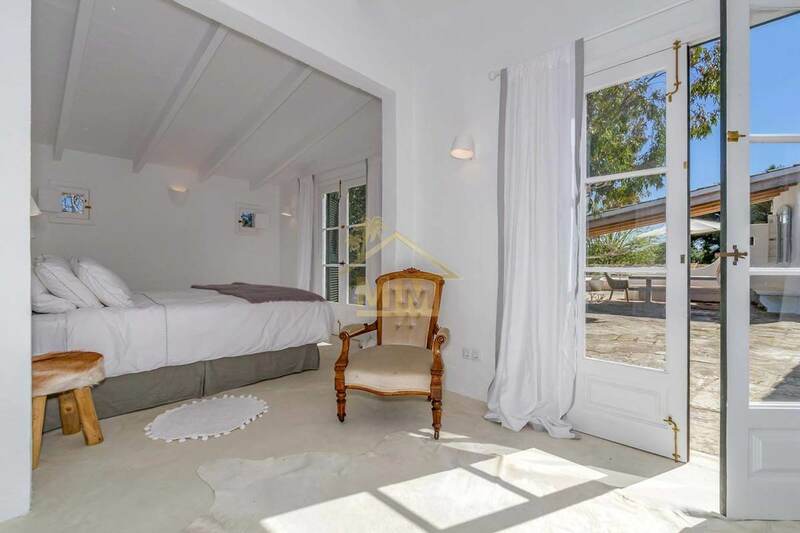 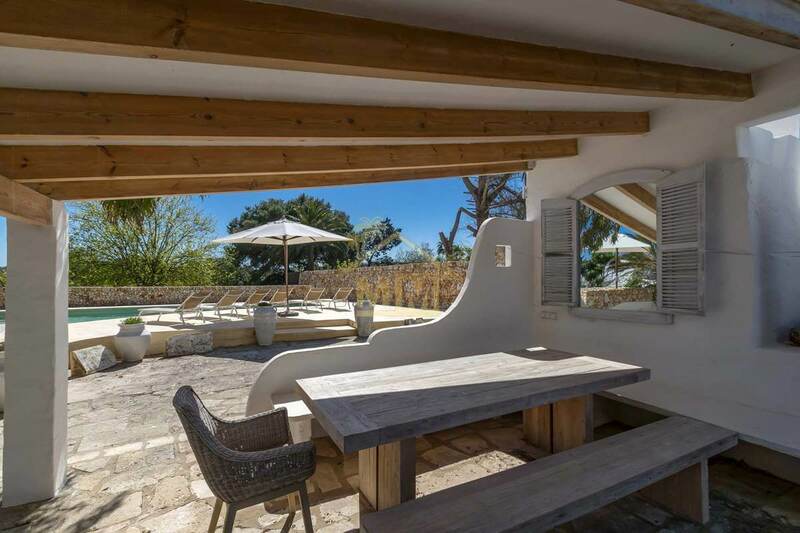 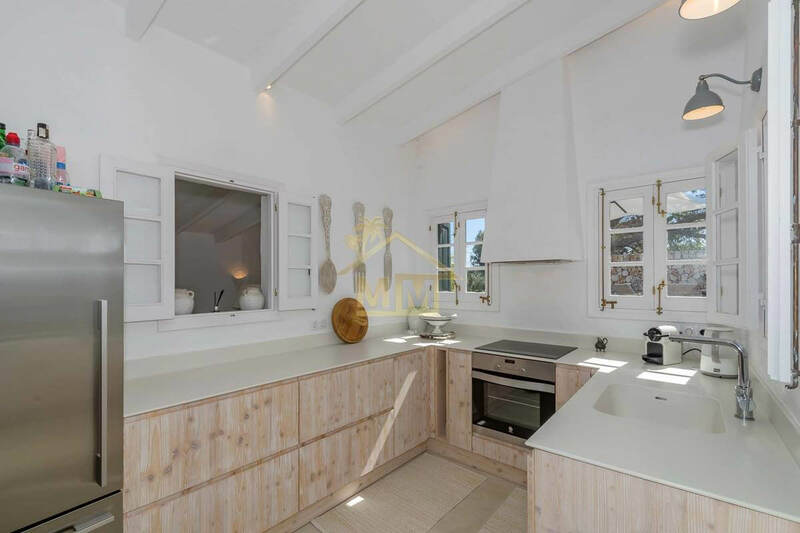 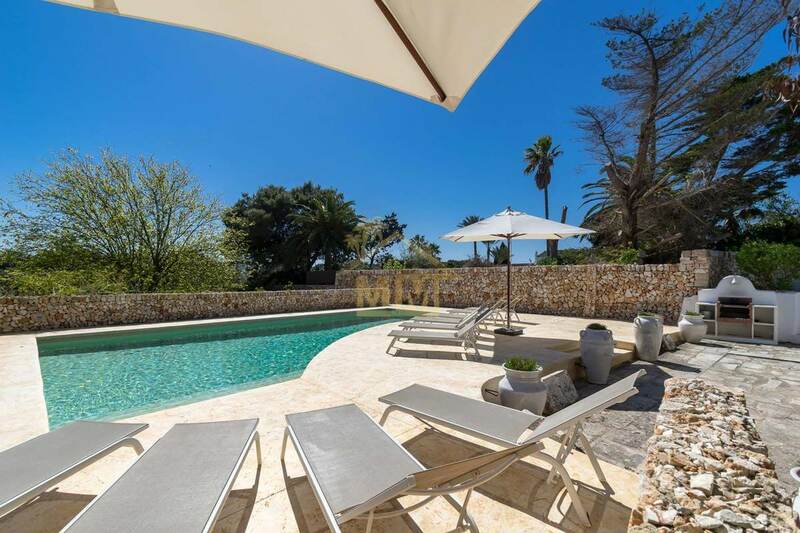 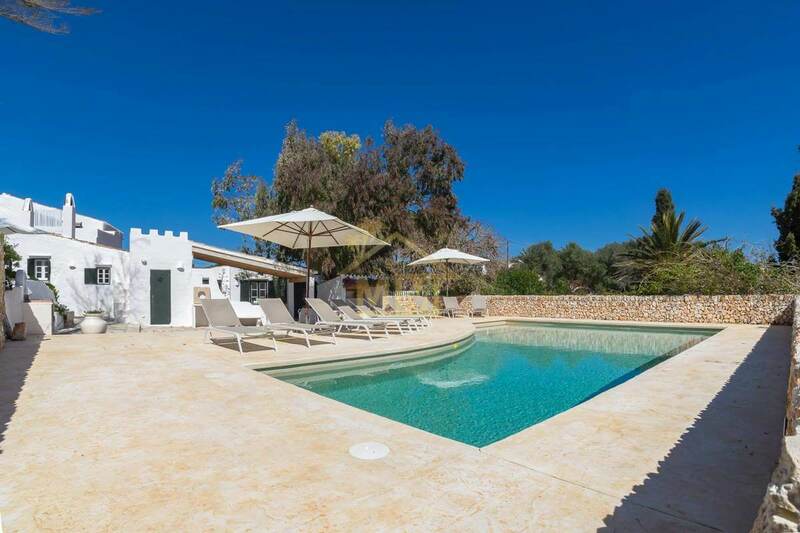 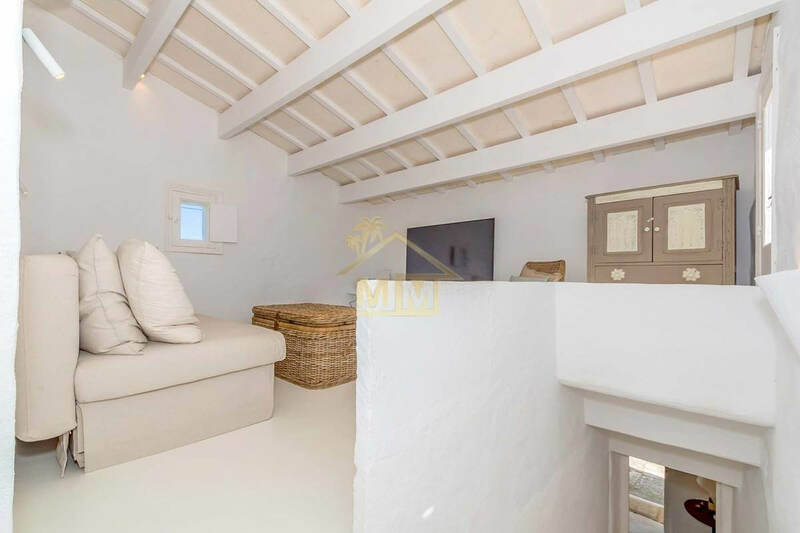 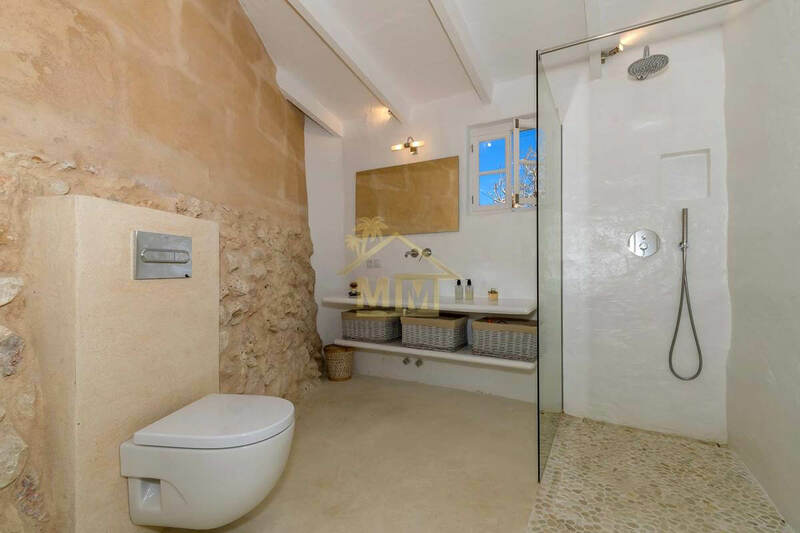 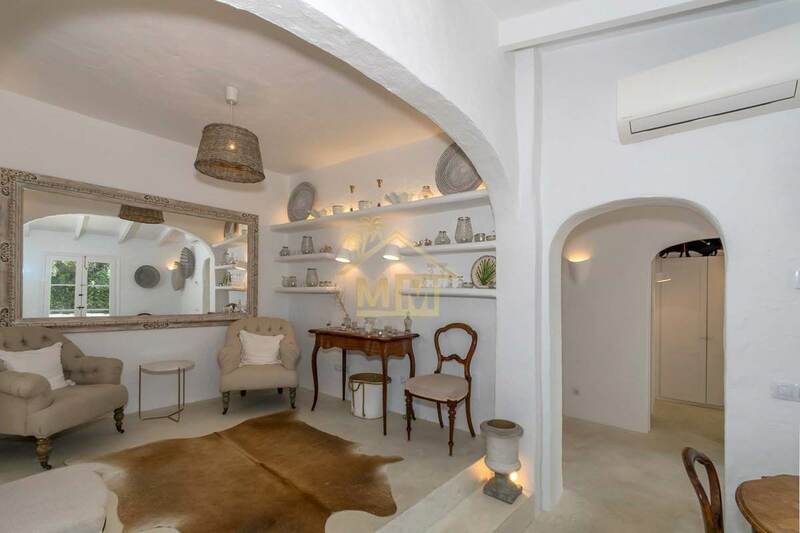 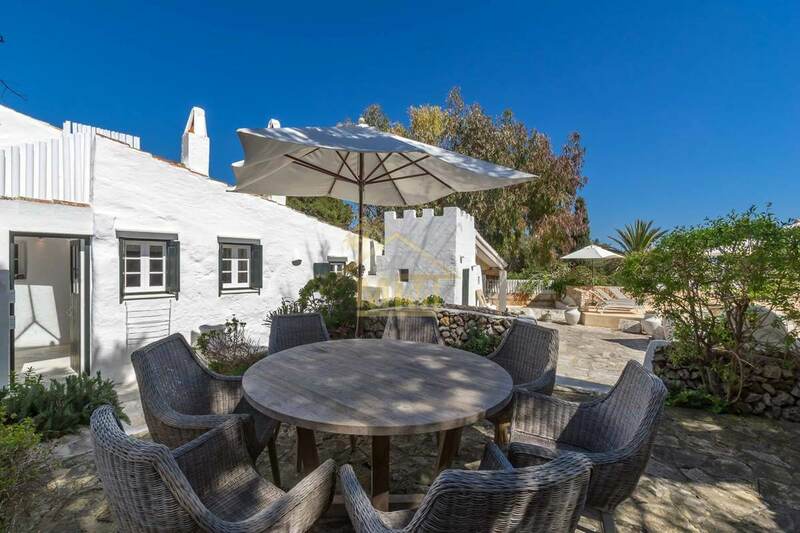 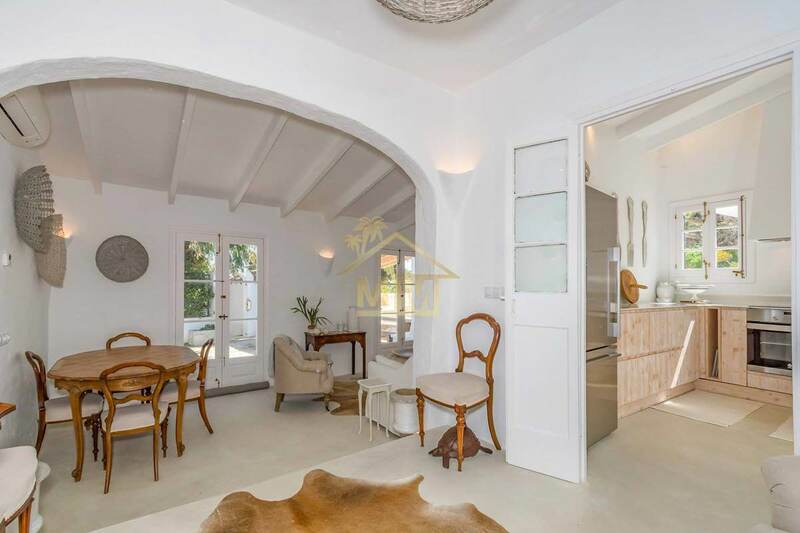 This exceptional property benefits from polished concrete floors, underfloor heating, air conditioning, solar panels for water heating, water softener and a gravelled parking area with an ancient Bella Sombra Tree.